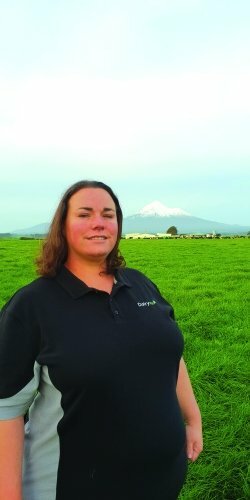 Nicola Bryant’s experience in adapting to change means she’s the perfect fit for her role as DairyNZ’s Dairy Connect coordinator for Taranaki and the Lower North Island. Dairy Connect links dairy farmers seeking information on a topic with those who have experience in that area. Those accessing the service are often interested in trying something new, whether that’s a response to a problem, a role-change, a shift to a new property or a different management approach. Nicola knows all about adapting to change. In the last 15 years she has moved countries, switched careers and swapped city for rural living, not to mention becoming mother to two daughters. In the early 2000s, with a bachelor of business administration under her belt, she moved from South Africa to Auckland where she worked as an office manager. She then met her husband, Michael, and in 2006 moved to the Reporoa dairy farm where he worked, also securing work as a farm assistant. Nicola says she enjoyed the new challenges presented by farming. “I’ve mostly lived in a city but I loved the lifestyle and I didn’t really like city life anyway, so I transitioned really well. There were days that were tough and physically demanding, but I love what it gives you in terms of a good work life for the family.” The Bryants now live in Opunake, where they contract- milk 240 cows. Nicola says if she’d known about Dairy Connect when she and Michael started their contract milking business, she’d have used the service to do more research around contract milking. While she didn’t go through Dairy Connect, she did seek advice from a strong network of farmers met mainly while she was completing a business diploma through Primary ITO. 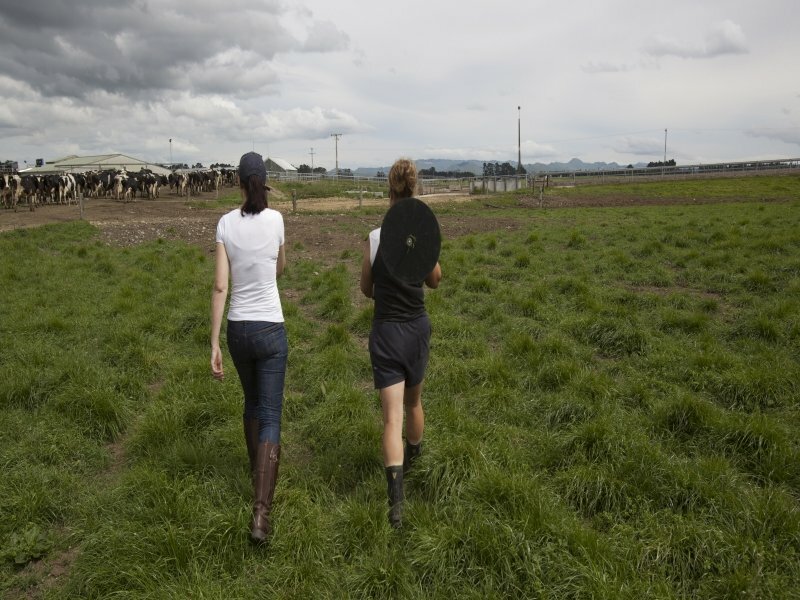 Dairy Connect facilitates short-term partnerships between farmers. It encourages the sharing of information and experiences on a specific farm topic. Support farmers have a reputation for being good operators and have been vetted by DairyNZ consulting officers and rural professionals. To use the service or to show interest in becoming a support farmer, go online at dairynz.co.nz/dairyconnect or phone 0800 4 DairyNZ (0800 4 324 7969).